This week’s post lists nail-related sales at the following stores: beautyBOUTIQUE, Clinique Canada, Estée Lauder Canada, Hudson’s Bay, Jean Coutu, Lancôme Canada, MAC Canada, Murale, Rexall, Sephora Canada, Shoppers Drug Mart, and Well.ca. Dec 14–20: Free express shipping on all orders of $125 or more. Free standard shipping on all purchases through Dec. 31, 2015. Pick 5 free samples with any $35 purchase. All this December: 3 free samples with a $50 purchase. Use the code LITTLELUX. 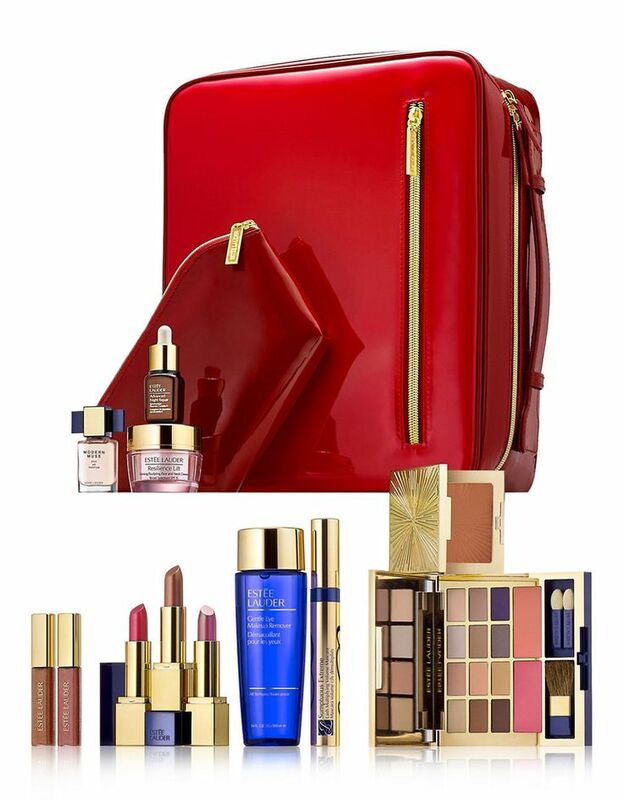 PWP: Blockbuster Colour Edit ($330 value) is $69.50 with any Estée Lauder fragrance purchase. 7.5% cashback from eBates Canada on Monday, Dec. 14 (regular amount is 2.5%). HBC GWP: Free evening bag in your choice of silver or black, with any $100 cosmetic purchase. Cannot be combined with other offers. Bond No. 9 is 50% off (possibly being cleared out?). This is a fragrance company, but the deal was too good for me to ignore here. I’m not the hugest fan of Bond No. 9, but the deals are great if you are. The online selection is not huge (the famed Chinatown, for example, is not available online); perhaps try in store for more options. Illamasqua is being cleared out. The Nail Varnish is $8.50 (reg. $17.00; available shades: Peruzzi). Lord & Taylor: 30% off. MAC: 25% off Holiday Sets. The code RENERGIE gives you an 8-piece GWP with a $50 purchase, plus free shipping (since $50 orders ship for free, anyway). Get a $40 splurge card when you spend $100. All deals are subject to change; this is just information copied off flyers and websites.